Want to create a Youtube, it’s a pretty big deal. It’s a platform with over 1 billion users, that regularly reaches more 18 to 34 and 18 to 49 year-olds than any cable network in the U.S. If you’ve been debating whether or not to set up a YouTube account for your business, I’ll let the stats speak for themselves. With a Google Account, you can watch and like videos and subscribe to channels. As the use of YouTube for businesses continues to grow, it’s essential for brands to establish a presence on the site. However, without a YouTube channel, you have no public presence on YouTube. If you have a Google Account, you need to create a YouTube channel to make playlists, upload videos or comment. To create a new channel You can use a computer or the YouTube mobile site. First of all you need to Sign in to YouTube using the mobile site or on a computer. Try any action that requires a channel, such as posting a comment, uploading a video or creating a playlist. You’ll see a prompt to create a channel, if you don’t yet have a channel. Confirm to create your new channel by checking the details with your Google Account name and photo. Now you have know that how to create a personal youtube channel. It’s time to know about a business channel. So, let’s know how to create a youtube business channel. Follow these instructions to create a channel that can have multiple owners or managers. First of all you need to Sign in to YouTube using the mobile site or on a computer. You can use a Brand Account to create a channel that has a different name but that’s still managed from your Google Account. Now go to your channel list. You can use an existing Brand Account or choose to create a new channel . 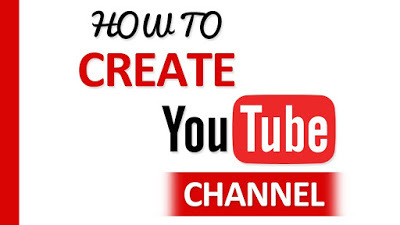 By clicking Create a new channel you can create a new channel. Create a YouTube channel for a Brand Account that you already manage by choosing the Brand Account from the list. You can’t create a new one if this Brand Account already has a channel. If you select the Brand Account from the list, you’ll just be switched over to that channel. Now verify your account by filling out the details to name your new channel. Now you need to click Done. This creates a new Brand Account. That’s it, you have created your youtube account or channel. Hope you like it. Stay with us to get more.